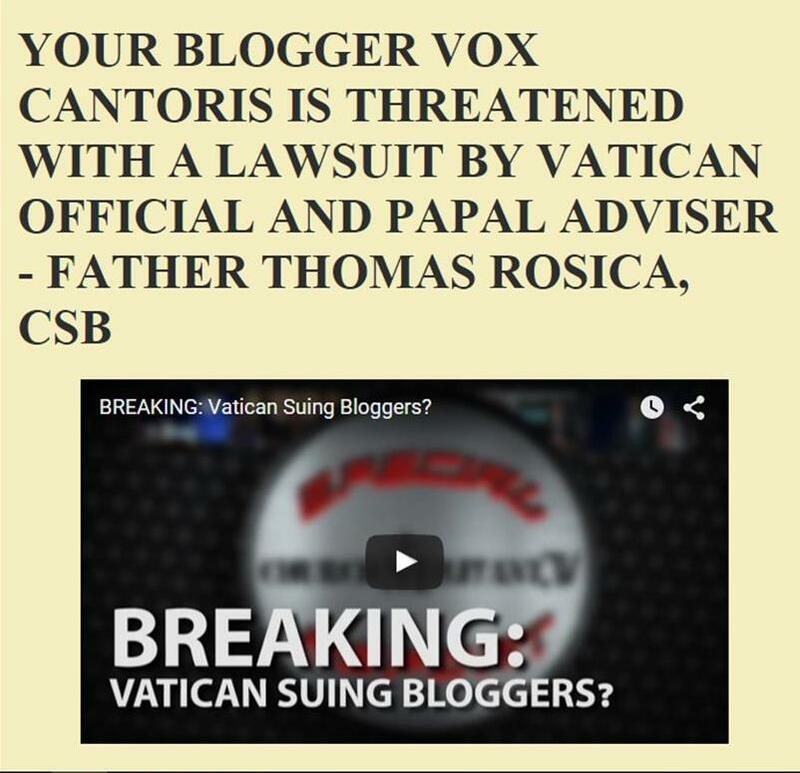 Vox Cantoris: Rosica blasphemes The Holy Family - Again! Rosica blasphemes The Holy Family - Again! An early start on reporting the filth of 2019. Once again, Rosica is pushing an agenda. The Holy family did not break any laws; they entered Egypt LEGALLY. 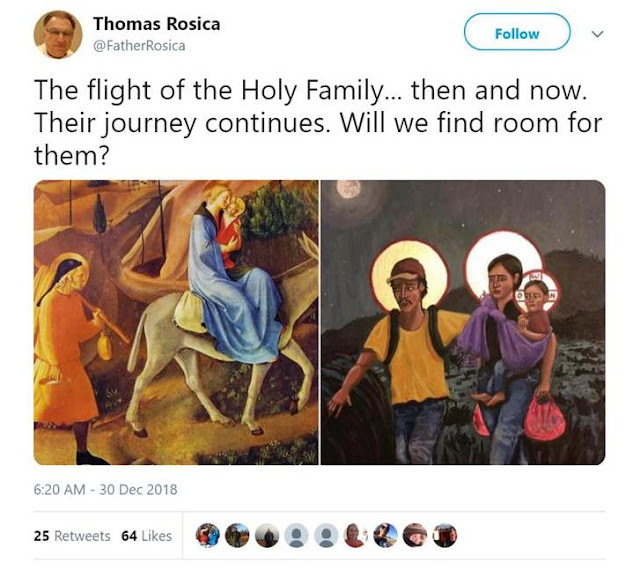 He cannot compare the Holy family to the migrant situation. Evil man using Christianity to advance his globalist agenda. No surprise here. Yes. Just because Christ treats charity to other as if done with his own, that does not mean the migrants are Christ. Besides, if we want to help migrants, letting them to come illegally is not going to solve the problem. Blasphemy is the worser way of "helping" people. ¿What about their souls? An irregular family is the one which the NO promotes with amoris laetitia rubbish - divorced parents, adultery, lonely children. Fr. Rosica is a sad, sad man. I'm sorry for him. Fr Rosica is a man without any credibility. He sadly proclaimed a few years ago that the Holy Spiritcwas guiding Justin Trudeau’s refugee policy. Then, after Salt and Light was unable to access tax payer money due to the summer jobs program, Fr Rosica denounced Trudeau as a dictator. Here, we have a sad priest, making not only a fool of himself, but disgracing the Catholic Church before the faithful and the general public through his statements that fluctuate between foolish and blasphemy, depending on the subject. This tragic man desperately needs prayer. May 2019 see Fr Rosica resigning from his various positions and devoting himself to quiet, obscure pastoral work in a parish.